Kirsten Rian is a writer, artist, singer, photography curator, professor, editor, and general Renaissance woman. Her new book of poetry, Life Expectancy, explores family history, motherhood, and life taken in unexpected directions. 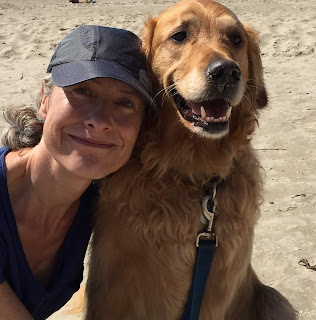 Kirsten recently talked with Rose City Reader about her new book, writing, poetry, and motherhood. You’ve done so many creative things in your life – painting, singing, writing, curating, editing, among others – what led you to write this book of poetry, Life Expectancy, at this point in your life? To be honest, it sort of wrote itself over the span of many years. Writing has always been a form of processing for me, and a way to get perspective on a situation. When the thoughts or wonderings or facts get out of one's own head and onto paper, just enough distance is created to allow for a bit of perspective, a slightly different angle of light. Maneuvering through the physical and emotional complexities of all the medical and death issues pushed on the limits of what my brain and body could manage. Having the ability to write was an intensely necessary tool, and I'm ever-grateful I had it to fall back on and to be there alongside. Some of the poems in your book read more like essays, all are intensely personal, dealing as you do with the death of your children’s father, medical scares, grief, motherhood, and so much more. Did you have any qualms about sharing so much? I have never cared what people think, so that never entered my mind. I live by the creed, the truth is the truth. And some of my truth the past 20 years has been hard and scary and uncomfortable. And it's made some people around me uncomfortable. I don't care. I'm living it. I didn't ask for it, it all just happened. It's the truth, and it's life, and sooner or later we will all experience hard, scary, uncomfortable truth. I do love the prose poem format because some of what the kids and I experienced felt like this unrelenting wall, this dense block of experience we couldn't get around. So the form of the prose poem fit well for some of the content. For others, it needed couplets or some other format. The gift of poetry is that the line breaks and white space are content, as well. So we writers use all that, as well, to convey story and emotion. Did you think of turning your own experiences into fiction and writing the book as a novel? No. Honestly, this book was a very, very long process and I'm ready to focus on other content. I think as artists our own lives factor in to everything we make on some level, whether intentional or not. So, there's that. But for whatever reason, these particular stories needed to be told in poem form. The thing I love most about fiction is creating characters with their own experiences and impulses and hopes and dreams. I like to get lost in a character and it's time to do that for awhile. What did you learn from writing Life Expectancy – either about the subject of the book or the writing process – that most surprised you? I was crazy shocked to learn the book was about mothering through trauma. I thought it was about my son's and my medical issues and Dave dying, which obviously it was on some level, but it wasn't until it was completed that I realized this. How did you think of the book’s title and what meaning do you want to convey with it? What struck me the most moving through the events of the past 20 years was that life does not go the way one expects. Literally nothing about my adult life I could have planned. And the hard events...there's no way to prepare for how to maneuver through life and death situations with your child, your husband, yourself. The fact that we looked at death so closely at ages that defied the national 'life expectancy' also came into the meaning. What is your process for writing a poem? Do you write at a particular time or place? Do you rewrite? None, nope, and rarely. It's the single mom method. I write when there's time. And I do edit my pieces but large rewrites really never. If it isn't working, then it isn't working. I'm an intuitive writer and I work quickly and in spurts, so it's either there or it's not. Who are a few of your favorite poets? Can you recommend any who deal with major life issues with the kind of heart and empathy you put into your own work? Tess Gallagher has always been one of my favorites. Her book Moon Crossing Bridge, written after her husband Raymond Carver died, has me in tears every single time I read it. In many ways, that book was a wonderful teacher for me in how to write about grief honestly and directly and still beautifully and in a well-crafted way. Wislawa Szymborska, Jack Gilbert, Michael Ondaatje, and Dean Young I go back to over and over. TS Eliot's Four Quartets I keep in the car. When I was teaching my kids to drive, once they learned how and just needed more practice logging in hours, I'd read it aloud to calm myself down. Teaching them to drive was quite honestly one of the most stressful things I've ever done. Somebody needs to do a better job preparing parents for what this will be like! I love short fiction and really well written novels. I just finished Bette Husted's new book, All Coyote's Children, and am about to launch into Jesmyn Ward's Sing, Unburied, Sing. I love basketball so a good NBA biography makes me happy. And comedy. David Sedaris. Write about your own life. Much of my earlier work was more witnessing, which is fine and valuable, but not if one hasn't told their own stories yet. You dedicate the book to your mother and grandmother, “who mothered through their own trauma the best they could.” What is the most valuable advice you’ve been given as a mother? I lingered on this question for awhile. You know, I don't know if I've ever been given mothering advice. I've given myself lots of advice, though! And I instinctively, and it felt like primally, knew how to be a fierce mother when it was needed, especially when it was standing up for my kids. Do you have any events coming up to promote your book? I had a few readings when the book first came out, and I just was on Judith Arcana's fabulous KBOO radio show, Poetry and Everything. I'll gear up again to promote in the fall! I'll return to Iceland for another residency and produce both an installation and work on writing. I'm in the middle of a fiction project and I really want to write a poetry collection on joy. 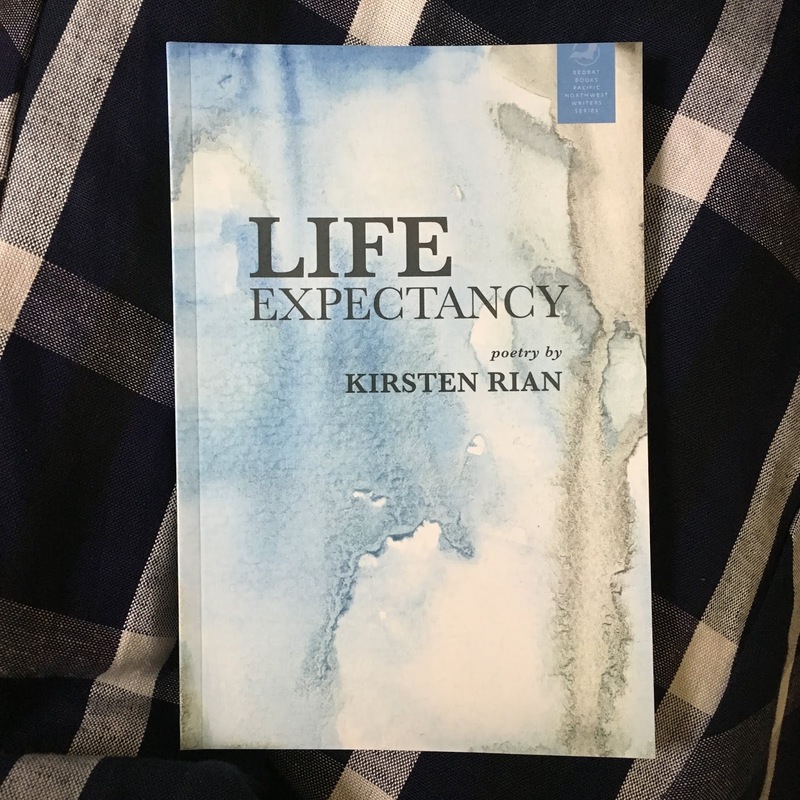 LIFE EXPECTANCY IS AVAILABLE ONLINE OR ASK YOUR LOCAL BOOKSELLER TO ORDER IT!